THE RENSSELAER ADVANTAGE Pre-Owned Limited Powertrain Warranty* provides coverage for 10 years from January 1 of the model year of the vehicle or up to 100,000 miles on the odometer, whichever occurs first. Cylinder block and cylinder head(s), all internal lubricated parts including pistons, piston rings, wrist pins, connecting rods, rod and main bearings, crankshaft, camshaft(s) and bearings, followers, lifters, pushrods, rocker arms, rocker shafts and bushings, balance shafts, valves, valve seats, valve guides, valve springs and retainers, oil pump, oil pump pick up and drive, water pump. Automatic Transmission Equipped: Transmission Case and all internal lubricated parts including oil pump, valve body, torque converter, governor, clutches, bushings, shafts, gear sets, bearings, vacuum modulator dip stick and tube. Manual Transmission Equipped: Transmission case and all internal lubricated parts including shafts, bushings, bearings, gear sets, synchronizers, and shift forks. Front Wheel Drive Equipped: Drive axle housing and all internal lubricated components including carrier case, gear sets, chain and sprockets, bearings, bushings. Axle shafts, constant velocity joints and double offset joints (except if boot was damaged or missing). Rear Wheel Drive Equipped: Drive axle case and all internal lubricated parts including carrier, ring and pinion gears, gear sets, bearings bushings, limited slip clutch pack. Axle shafts, drive shaft(s), drive shaft support, u-joints. Four Wheel Drive/All Wheel Drive Equipped: All components listed under Front Wheel Drive Equipped and Rear Wheel Drive Equipped are covered. Seals and Gasket coverage included for the Powertrain components listed above. *For more information concerning terms, conditions and exclusions please refer to the American Guardian limited powertrain warranty. 24-hours a day and 7 Days a Week Round-The-Clock Assistance. Roadside Assistance benefits pay up to $50 per occurrence for 1 year from the date of vehicle purchase. Towing Assistance – When required as a result of a mechanical failure, if within 40 miles of the se lling dealership, the vehicle will be towed back to the selling dealership, otherwise to a licensed repair facility in the U.S. or Canada. Flat Tire Assistance – Service consists of the removal of the flat tire and its replacement with the spare tire located with the vehicle. Battery Assistance – If battery failure occurs, a jump start will be provided to start your vehicle. Lock-out Assistance – If your keys are locked inside your vehicle, assistance will be provided to supply assistance in gaining entry into the vehicle. Fuel, Oil, Fluid and Water Delivery – An emergency supply of fuel, oil, fluid and water will be delivered if your vehicle is in immediate need. You must pay for the fuel or other fluid when it is delivered. If your vehicle is disabled due to a covered mechanical failure more than 100 miles from home, you will be reimbursed up to $75 per day and a maximum of $225 per occurrence. Your coverage begins at the date shown on the contract and terminates 1 year from the date of vehicle purchase. Emergency Travel Expenses such as airline tickets, hotels, meals and car rental. RENSSELAER ADVANTAGE Pre-Owned Vehicles must meet strict requirements in regards to their condition. Each RENSSELAER ADVANTAGE Pre-Owned Vehicle is put through a comprehensive Multi-point vehicle inspection. When buying a used car, one of the first questions you might ask yourself is, “Are there any problems with the car?” AutoCheck® vehicle history reports include information on accidents, odometer rollback, lemon vehicles, flood damage, branded titles and much more. Every RENSSELAER ADVANTAGE Pre-Owned Vehicle comes with a free AutoCheck® vehicle history report. We are a family owned and operated New and Used car dealership that has been servicing New York’s Capital Region for over 35 years. RENSSELAER Honda has proudly served the Albany area for over 35 years with quality new cars, SUV’s and trucks. You will be amazed by our extensive selection and even more by the low pressure treatment and low price. 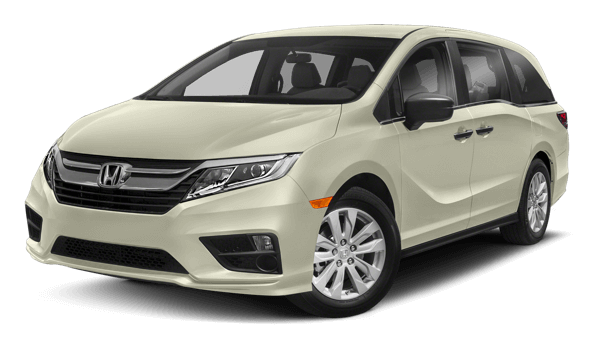 RENSSELAER Honda is also a full service repair facility which has been servicing our upstate New York customers for over 30 years. Your vehicle will always be repaired by expert ASE and Honda Certified technicians who only use OEM Honda Parts. We have a shuttle vehicle and vehicle pick up (call for details) in the event that you can’t stay in our modern waiting area which is equipped with free WiFi.